A job family is a series of progressively higher, related jobs distinguished by levels of knowledge, skills, and abilities (competencies) and other factors, and which provide promotional and compensation opportunities. IT Job Family Classification System - Both in an individual's personal career planning and an enterprise's staffing, promotion and compensation it is important to have benchmarks on the levels that individuals are at. To that end, one of the best objective ways to meet this goal is to have formal job descriptions and clear paths for promotion and compensation. 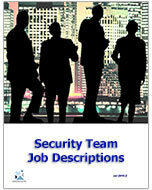 are assigned to a particular family and level based on the job family classification and level descriptions. All positions at the same level have the same salary grade throughout an enterprise. In this example we show four classes within an IT organization. 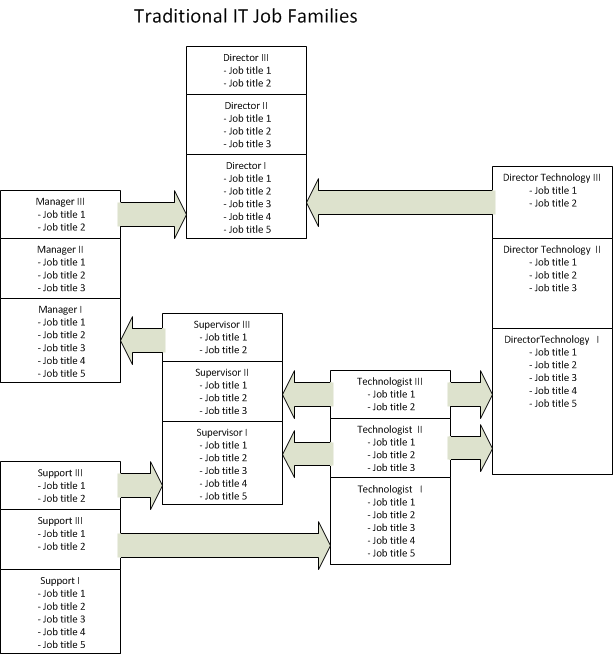 In this example the l job families have clearly defined promotion paths. In addition compensation levels for individuals can be set based on capabilities and performance. The model below is the one that is included in the IT Job Classification. 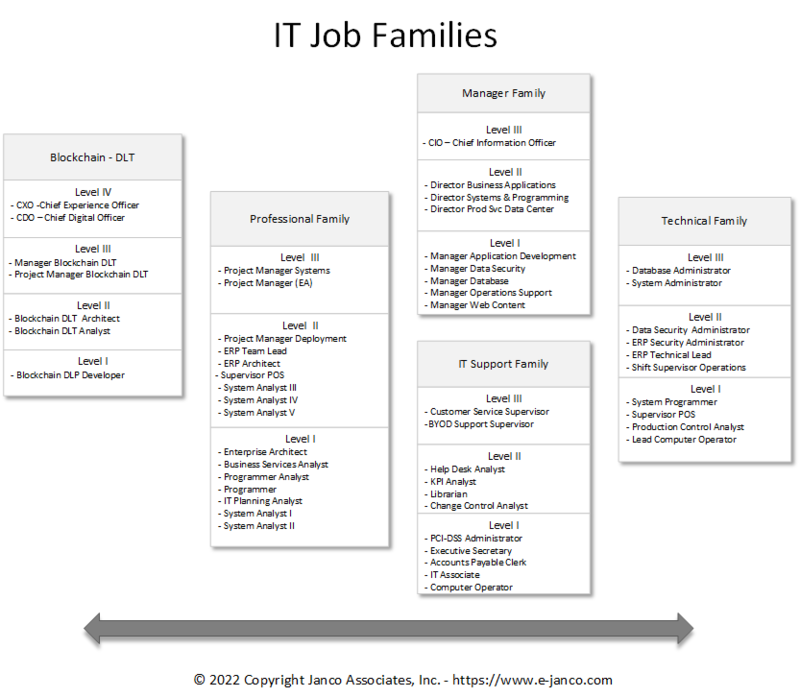 Janco has created similar models with up to ten (10) job families for several larger IT organizations. Please contact us directly to obtain a quote for this "turn-key" service. You have the option to order either the Job Family Classification System or the CIO HR and Staffing Management Kit. Remember to order Janco's World Class update service which will provide with updates to these products as soon as they are available. .
Everything necessary to recruit staff. 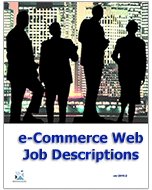 contains Interview and Hiring Guide, IT Salary Survey, and Job Descriptions.